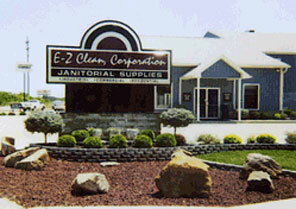 E-Z Clean Products Corporation started in 1968 as a “non-stocking” distributor for janitorial and industrial cleaning supplies. The company quickly grew into a warehouse operation during the early 1970’s when they moved into a 5,000 square foot facility in Terre Haute, Indiana. Offering free delivery to customers within a 70 mile radius, sales quickly grew from $90,000 per year to over 1 million. Now located in a 14,000-square foot facility with a spacious showroom, E-Z Clean caters to the commercial, industrial and residential consumer. The sales staff has a combined sales experience of over 80 years.